Investigate the birth of the nations of the world during the Renaissance, Reformation, and Enlightenment. Meet Leonardo da Vinci, Michelangelo, and Mozart. See the Taj Mahal, great Cathedrals, palaces, and residences. Read the words of Shakespeare, Martin Luther, René Descartes, and many more great authors and thinkers. Includes cultures in Africa, Asia, Europe, Middle East, North America & South America. 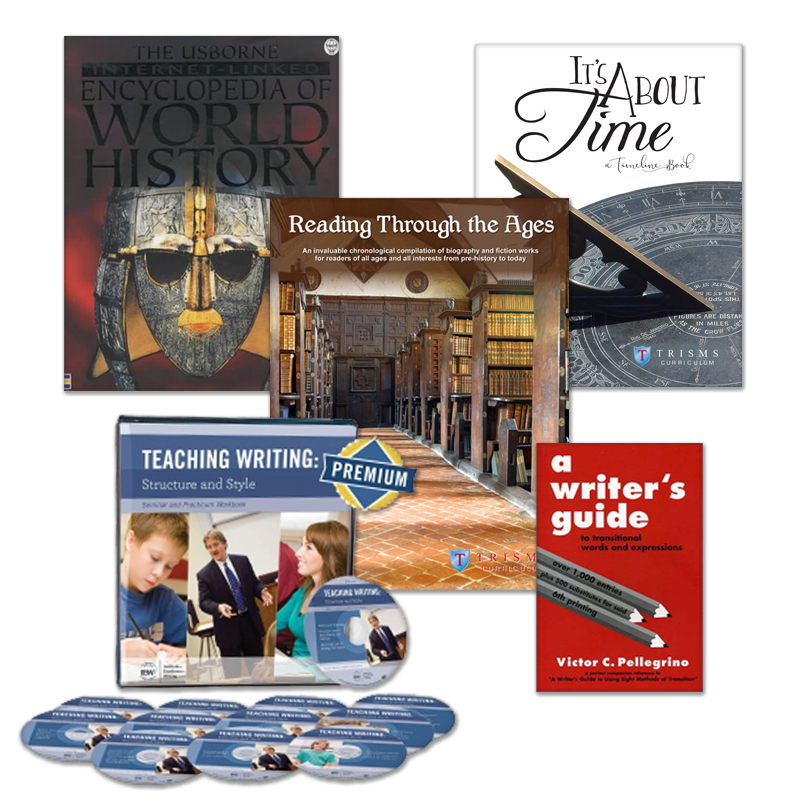 *Purchase the IEW TWSS 2-D (Teaching Writing Structure and Style) program (available from TRISMS). TRISMS guides you through the program while providing practice with time-relevant literature and composition assignments.